As a reasonable person who wants sports to be fair and knows they wouldn’t exist otherwise, I’m so glad the Steelers didn’t lose the game because of 18 seconds that mysteriously disappeared from the clock before their game-winning drive. 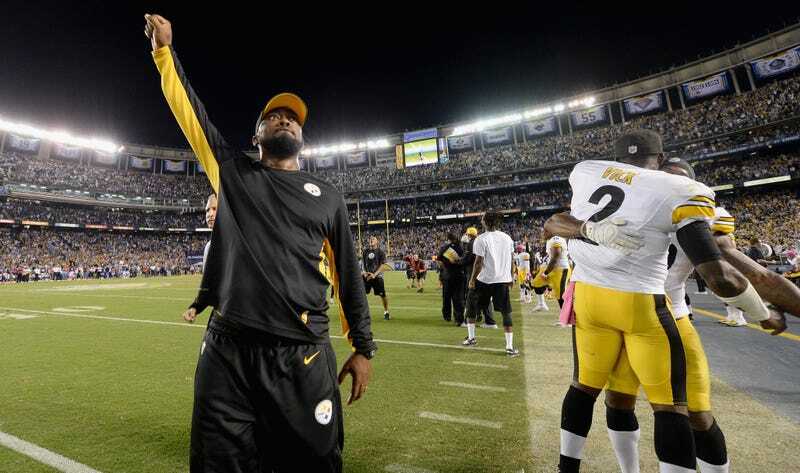 As a fan of drama and controversy, I wish the Steelers had gotten fucked over and we got to spend all day yelling at the NFL. The ESPN graphic is not the official game clock, but in this case it was accurate. The in-stadium clock ran off 18 seconds, confirmed by the official NFL box score. If you like conspiracy theories (and who doesn’t), clock operators in the regular season are locals. And the clock in San Diego was eventually stopped at 2:38, which makes you think the clock operator had to have manually stopped it—so even if the runoff was accidental (and there’s no reason to think it wasn’t), the operator noticed and didn’t alert anyone. It still falls on the officials, specifically the side judge and referee Pete Morelli. Football Zebras provides some context for what could have and should have been done about the clock. It’s impossible to say how those extra 18 seconds might have changed the game, as the Steelers used every last one of their 158 seconds. Because Pittsburgh did win anyway, this controversy will blow over far sooner than it deserves to. We’ve been deprived of what would have been one of the great NFL clusterfucks of all time. It’s a tragedy, really.